According to Dogfish’s website this is a blend of a Scotch Ale, IPA and Brown Ale and it certainly makes for an interesting combination. Seems closer to a brown ale but does have a fair amount of hoppiness to it. Pours to a nice deep brown color with a tan head. The head disappeared very quickly and there was not a lot of carbonation. Very smooth to drink with complex flavors. Brewers Description: Forget about the car companies, this is the original hybrid, a cross between a Scotch Ale, an India Pale Ale, and an American Brown. Our Indian Brown Ale is well-hopped and malty at the same time (magical). The beer has characteristics of each style that inspired it; the color of an American Brown, the caramel notes of a Scotch Ale, and the hopping regiment of an India Pale Ale. We dry-hop the Indian Brown Ale in a similar fashion as our 60 Minute IPA and 90 Minute IPAs. 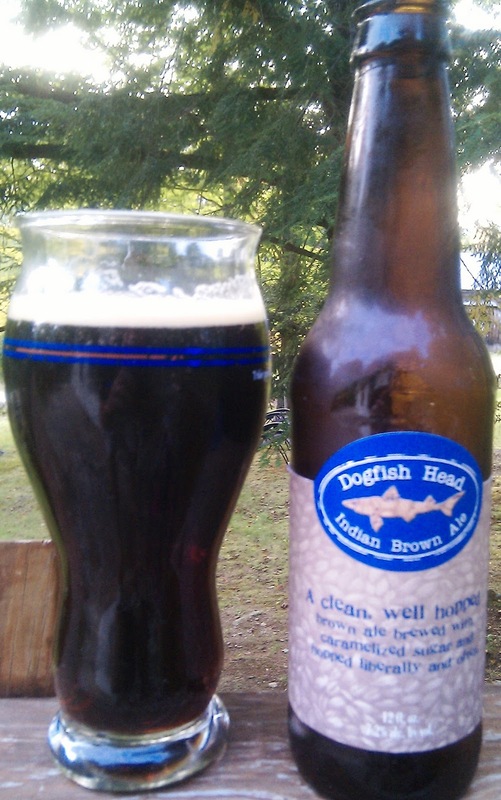 This beer is brewed with Aromatic barley and organic brown sugar.